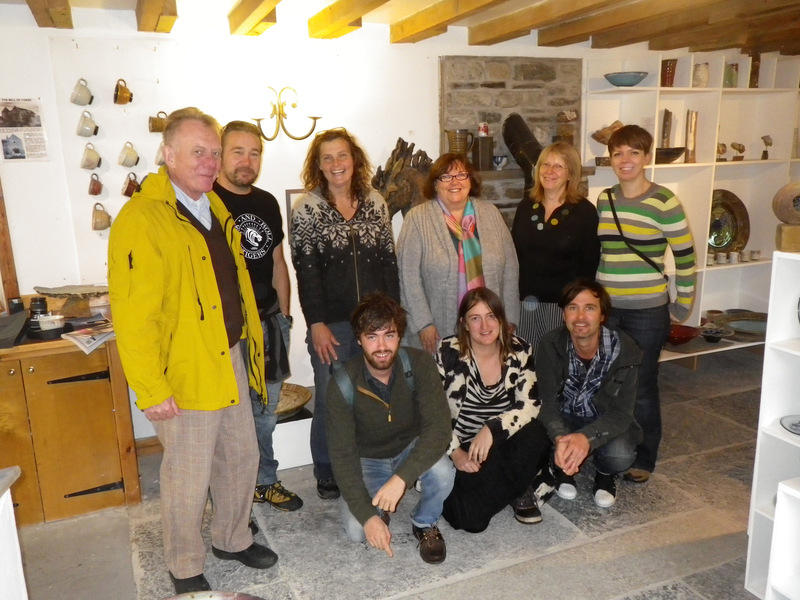 I have just completed a wonderful masterclass in hot glass with very modern and celebrated ceramacist – Richard Slee. We were experimenting with Richards way of working, combining found objects or ready-mades, with ceramics or hot glass. Richard is a ceramic artist but in recent years has experimented with bringing into his work objects made of widely varying materials until very recently he has dispensed with ceramic material altogether. He has been working with the National centre for glass in Sunderland on a series of work using glass. I was interested in this Masterclass as I saw it as an oportunity to think about objects in different ways and maybe find answers to sculptural conundrums. Of course as a potter myself, I relied entirely upon the help of our fantastic technisons, Jim Maskrey and Vicky Higginson. Without there masterful glass making skills I would have made nothing at all.